Vista Metals wins best tweet photo with "Aluminum into Mars wheels"
Sacramento, CA - Friday, October 4 was National Manufacturing Day and California manufacturers joined a sweeping campaign by the National Association of Manufacturers to peel back the curtain on our great U.S. manufacturing communities. In California, more than 60 facilities and educational establishments opened their doors, produced eye-popping events, and rolled out the welcome mat to show off their impressive processes, employees, manufacturing laboratories, and products. In addition CMTA asked participating manufacturers to tweet their coolest photo. 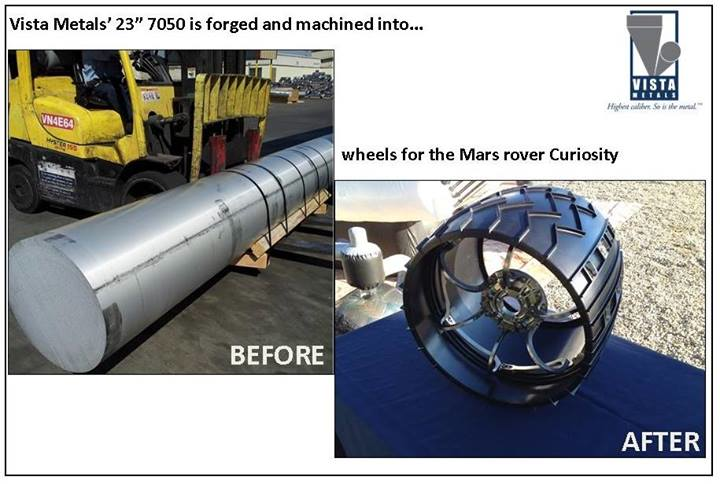 Our winner is Vista Metals from Fontana, who posted a photo of original raw aluminum that was forged into wheels for the Mars Rover Curiosity. Who wouldn't want to be paid to work on something like that? 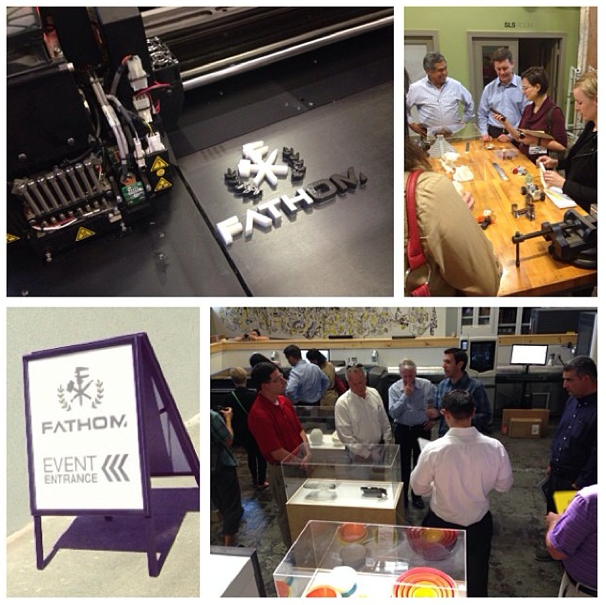 Our runner up is new 3D and additive manufacturer Fathom in Oakland. Other great photos came from California companies such as SierraPacific, Bishop-Wisecarver, Northrop Grumman, California Custom Fruits and Flavors, Ace Clearwater, Jelly Belly, Haas Automation, and PPG Industries. You can see some of the photos at the double twitter hashtag #MFGday #CA and the links in the list below. The whole country got involved with 840 events in 48 states. Even Ohio Representative Tim Ryan made a statement on the floor of our U.S. House of Representatives, "I declare today National Manufacturing Day. Manufacturing is the lifeblood of our economy and the backbone of our middle class." "It's important to show off the exciting products and cutting edge facilities we have here in California," said CMTA president Jack Stewart. "We always tout the tremendous economic opportunities with $77k average wages and other benefits but manufacturing is also one of the most personally rewarding careers anyone can embark upon." California manufacturing employment has grown by less than one percent in the last three years, while the country grew by 4.4 percent. California's overall job base is growing, but it's important that we make these higher paying and more skilled jobs our highest priority to sustain our middle class. We hope this annual event helps the media and state legislature understand how critical manufacturing is to our communities. "California manufacturers are capable of meeting extraordinary challenges and can be the engine of job creation if they have the resources, skilled workforce, and long term support of state and local communities," concluded Stewart. We thank the following companies for hosting events and particularly for sending in photos. 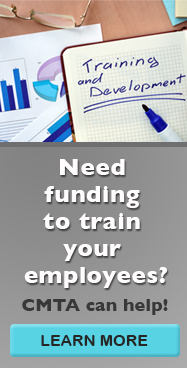 COMPETITIVE ENTERPRISES, INC. DBA AEROTRON MFG. CO.